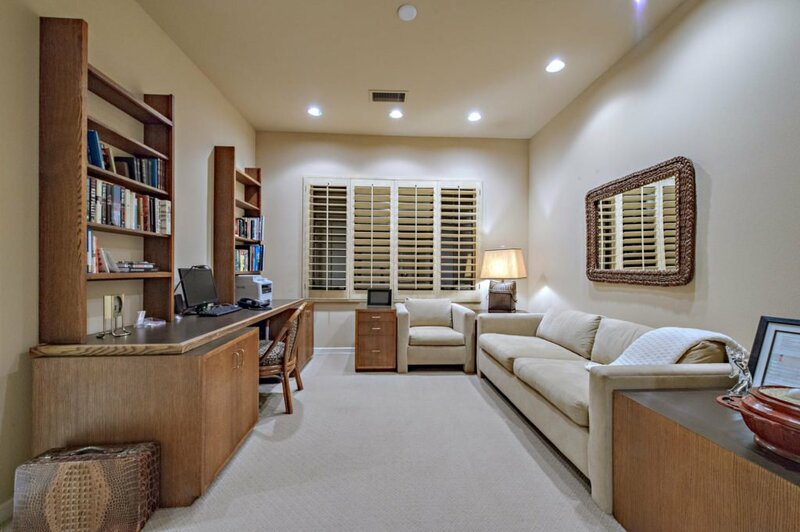 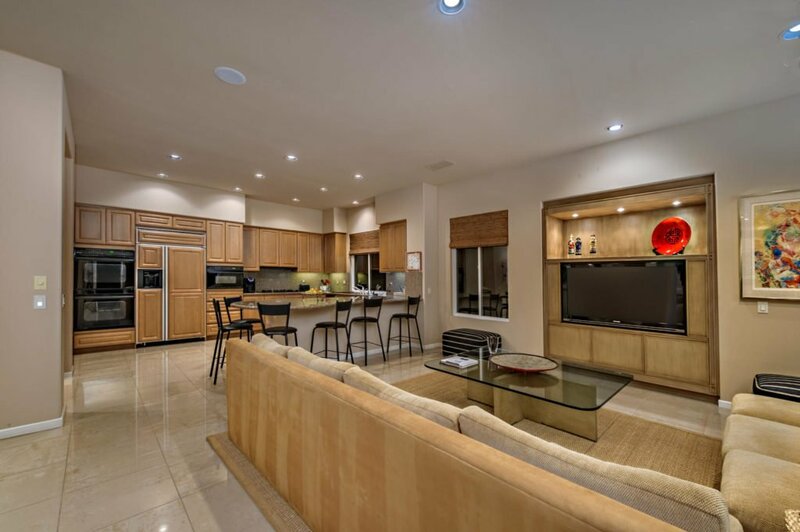 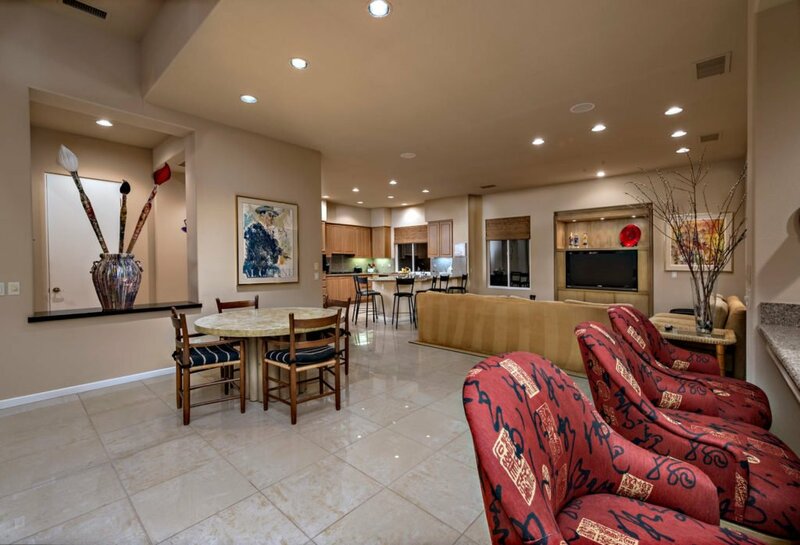 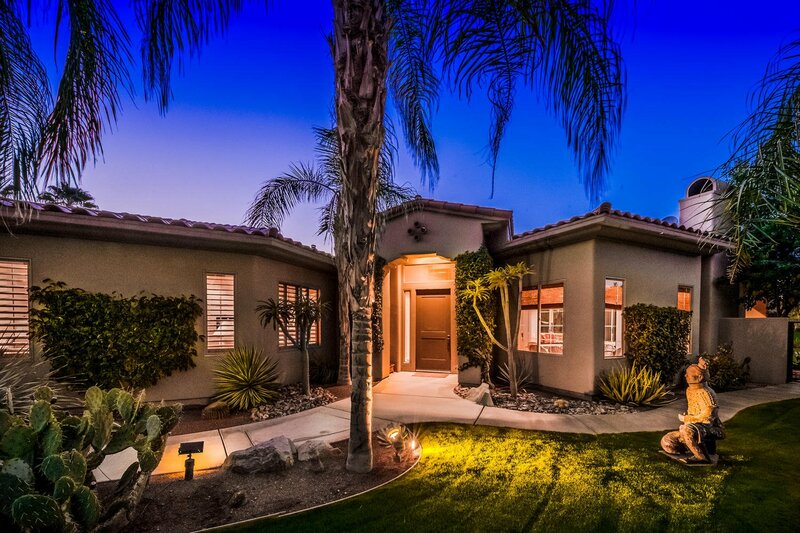 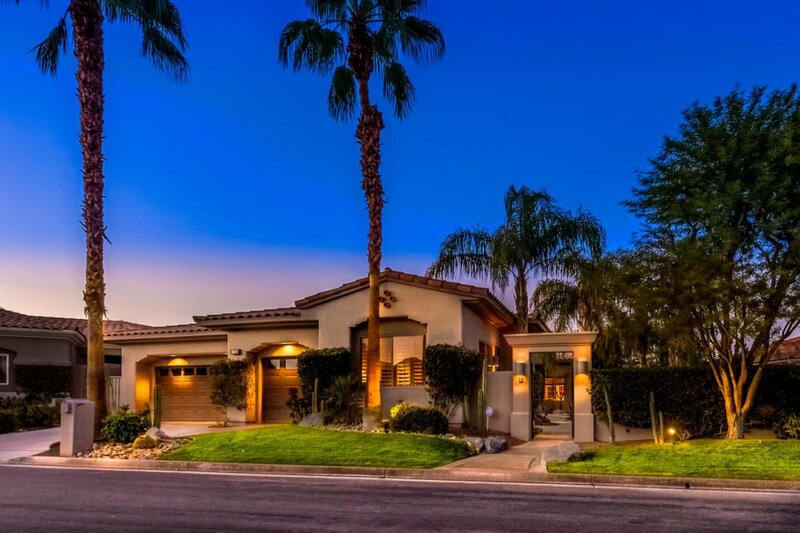 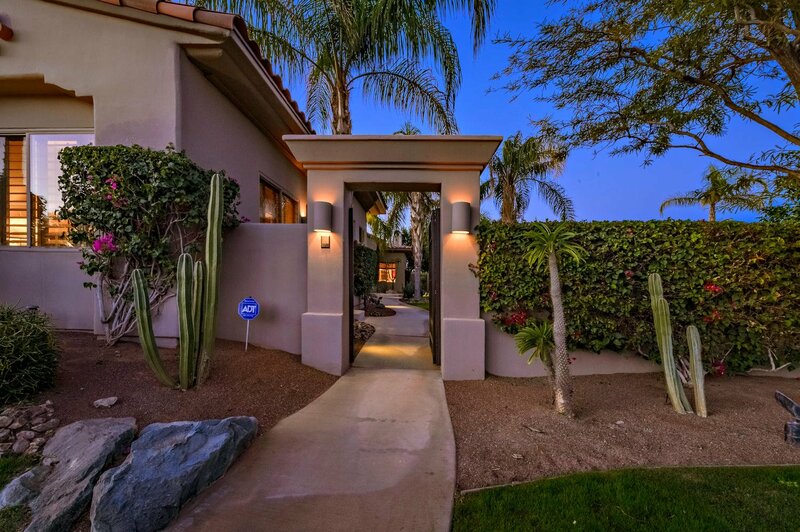 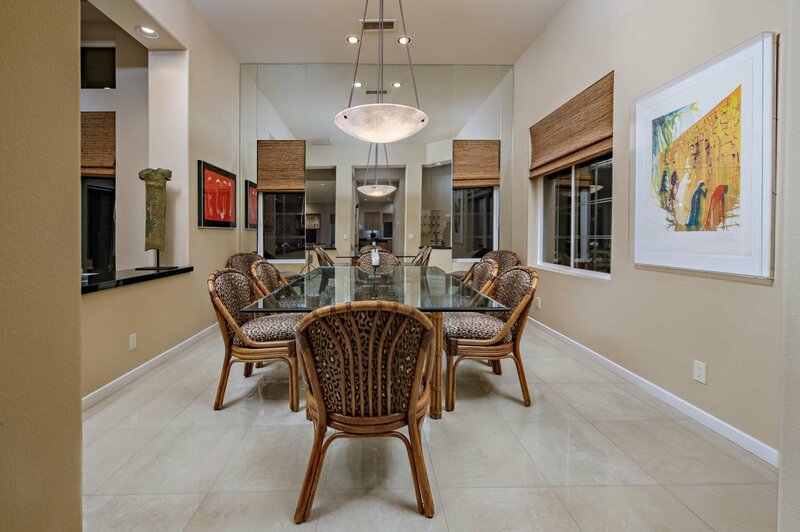 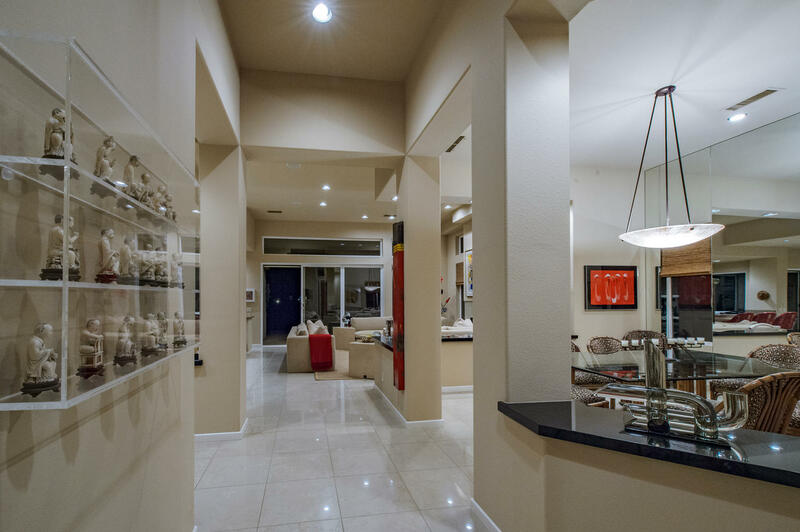 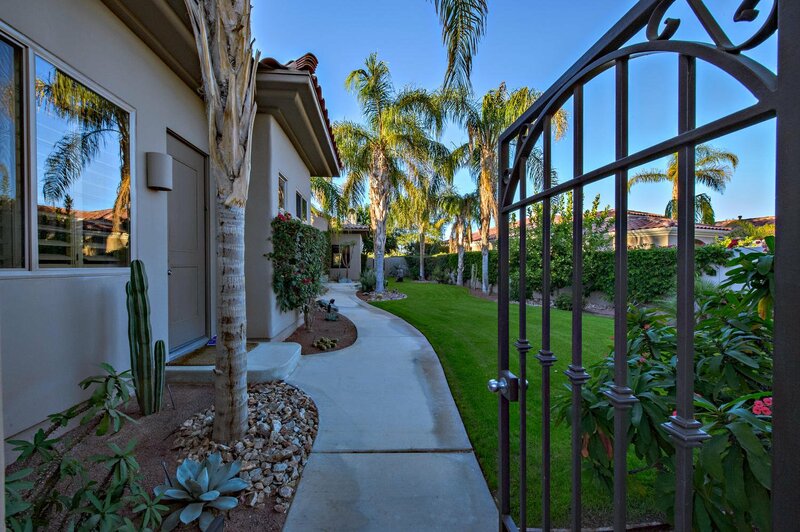 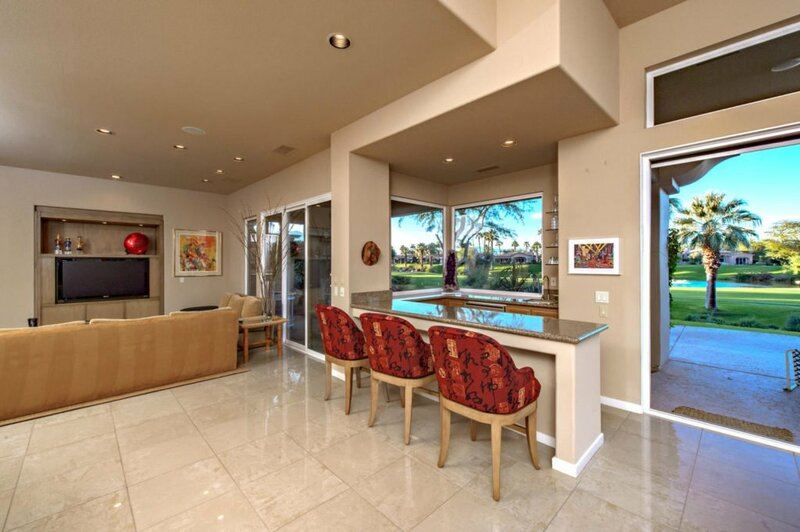 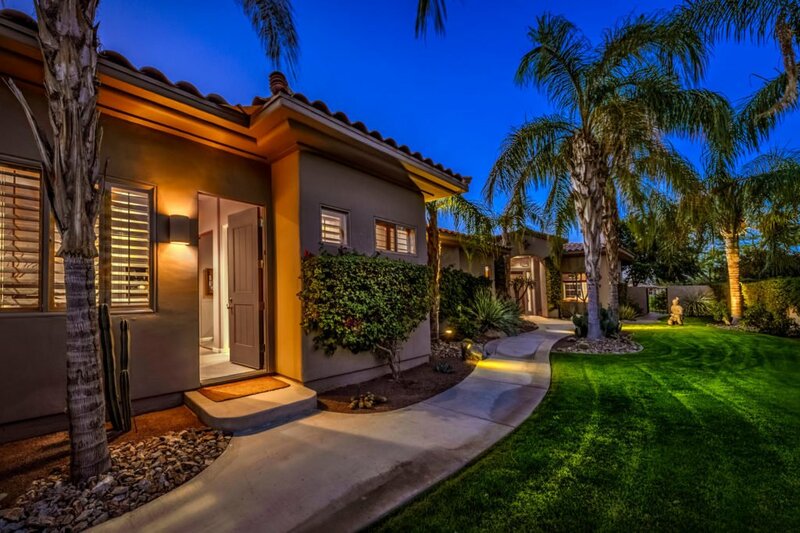 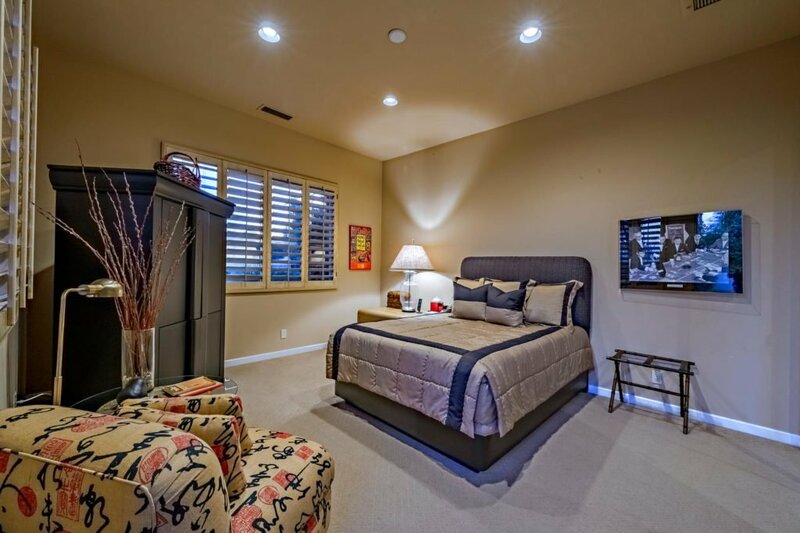 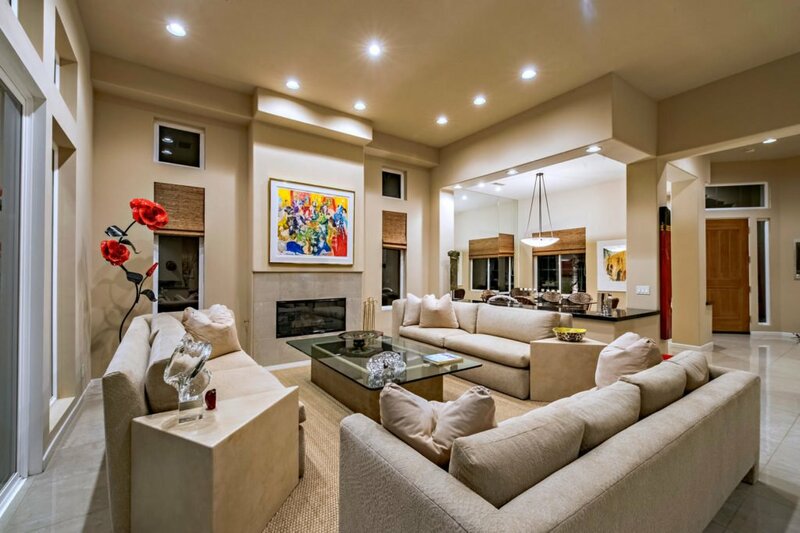 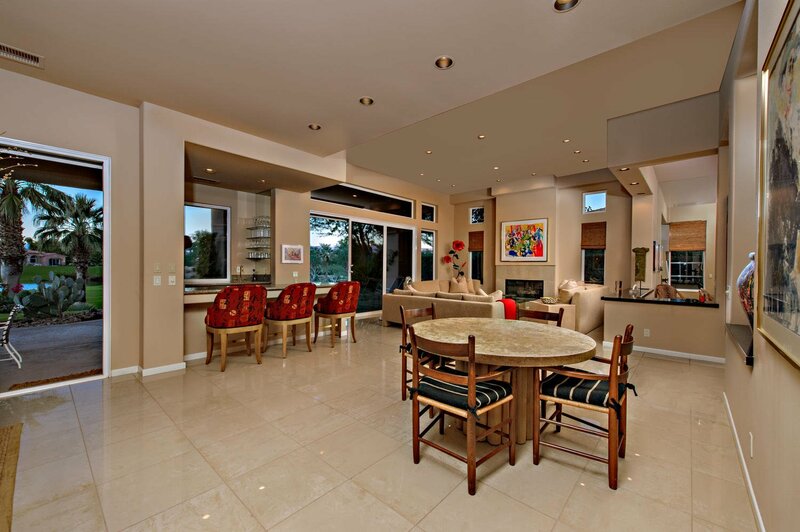 An impressive contemporary home located in Indian Ridge; a private golf community. 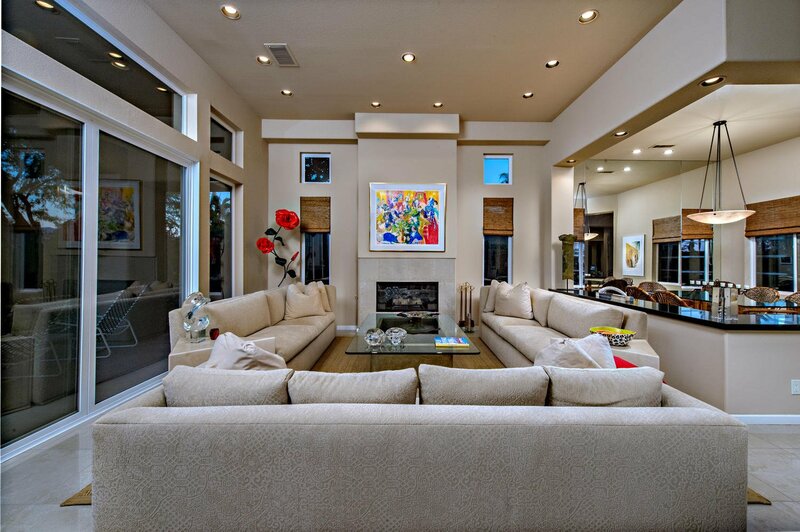 Featuring sculptural shapes and organic warm spaces. 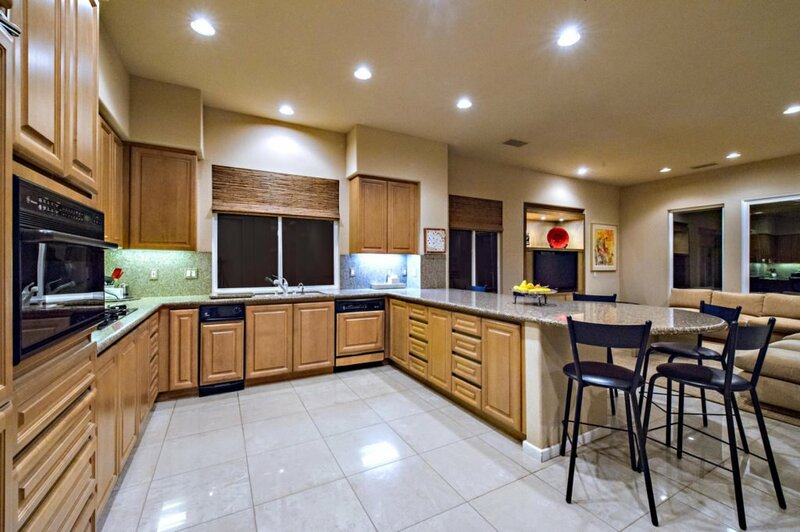 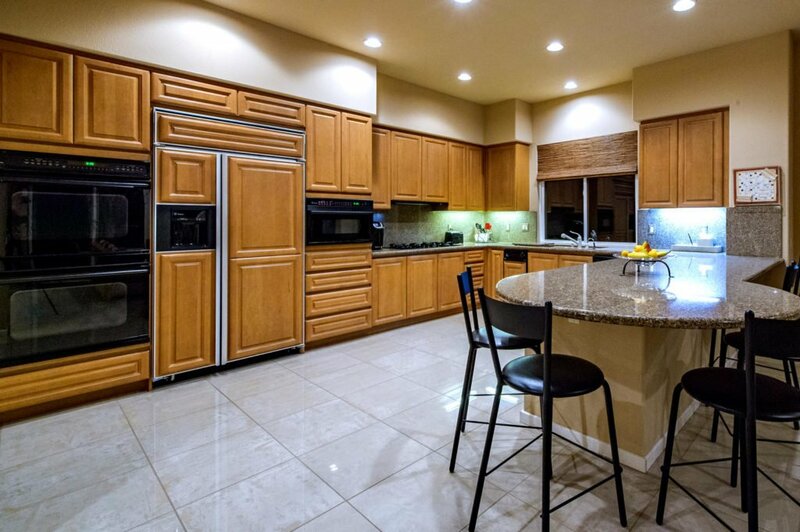 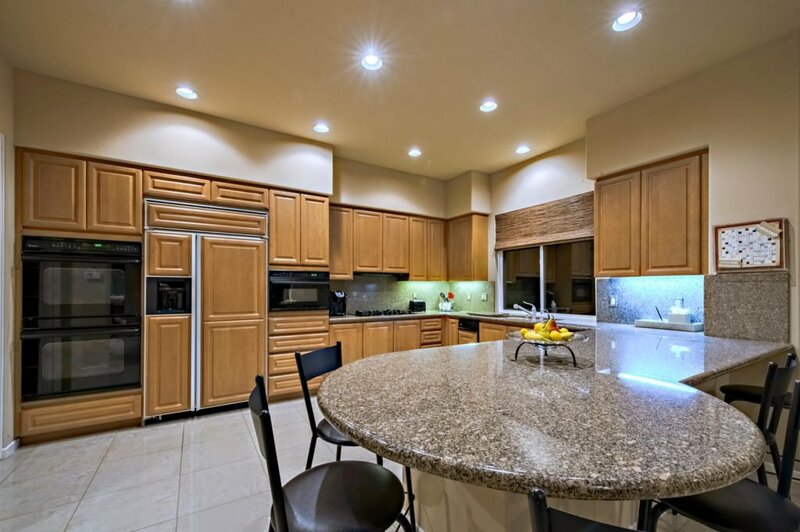 Impeccable finishes throughout the 3 bed /4.5 bath home, with office that can be converted into a 4th bedroom. 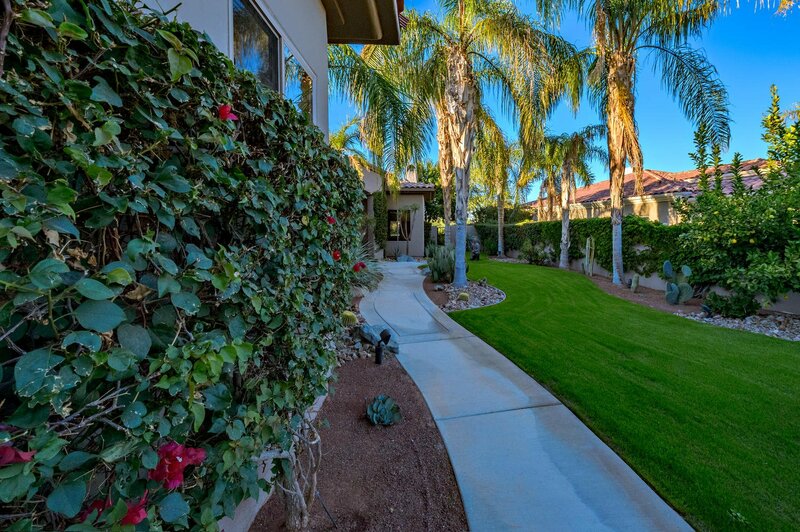 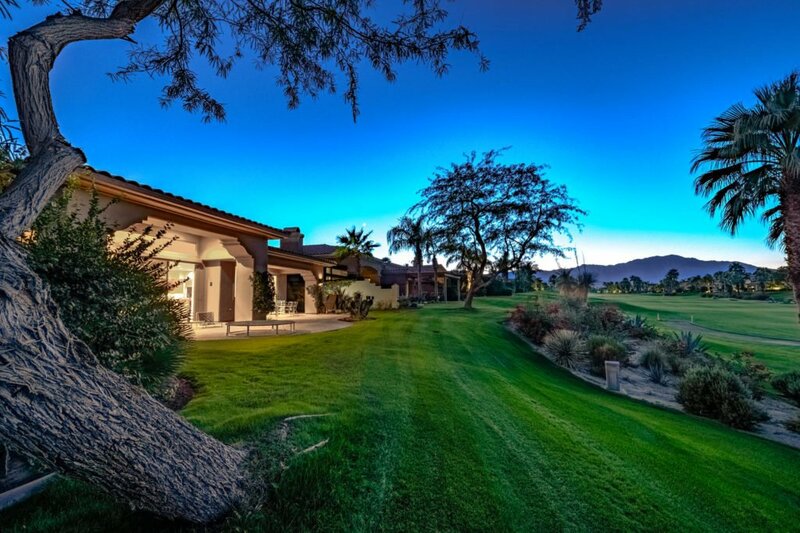 Fabulous Ocotillo 2G with a Guest Casita, overlooking the Arroyo 9th. 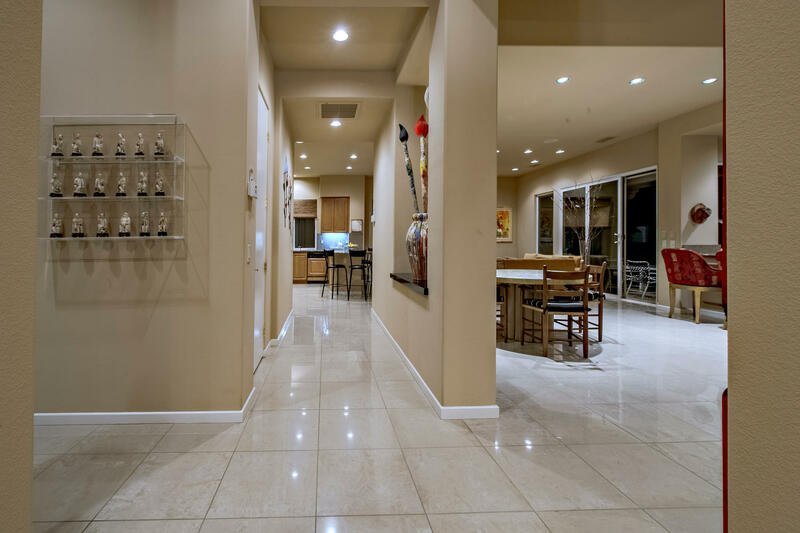 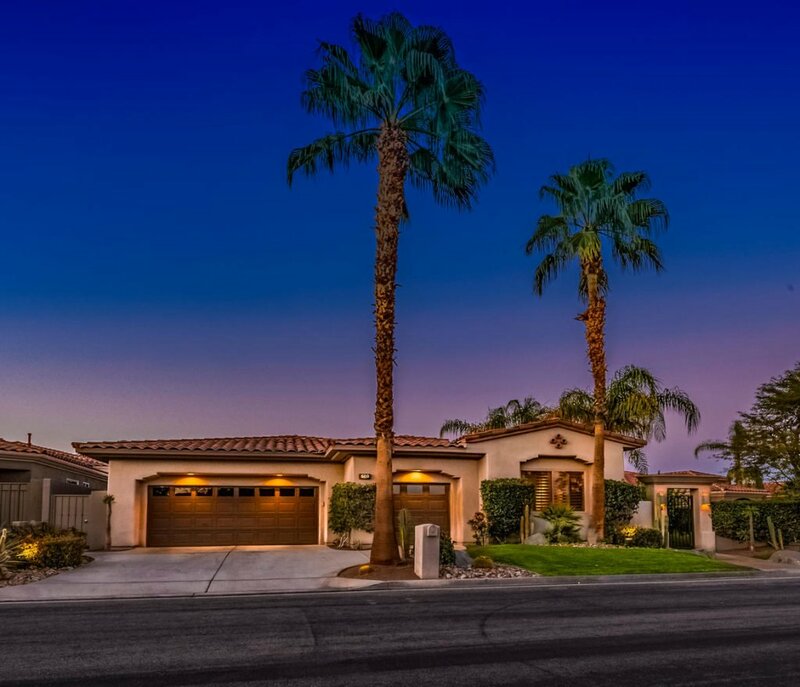 Providing a great open floor plan with an extremely wide patio, the immaculate home has porcelain floors throughout with a custom finish, & granite and marble finishes. 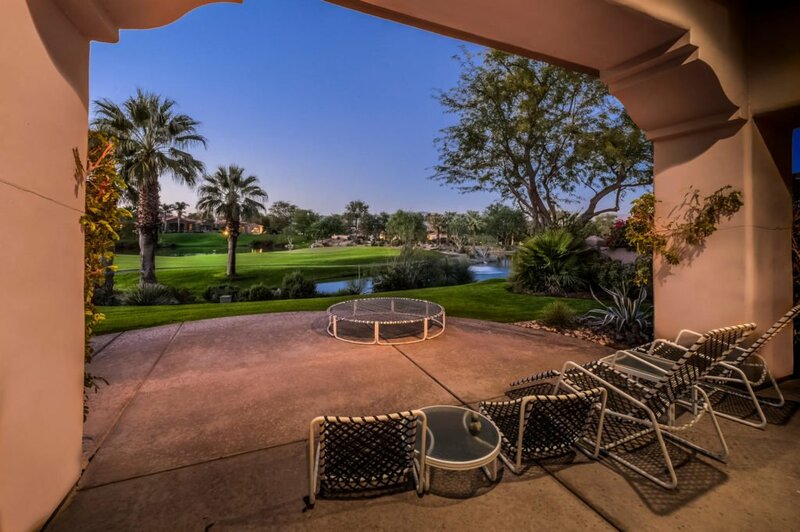 Enjoy indoor/outdoor living from walls of glass opening to exceptional views of the valley and desert city lights, dramatic sunsets. 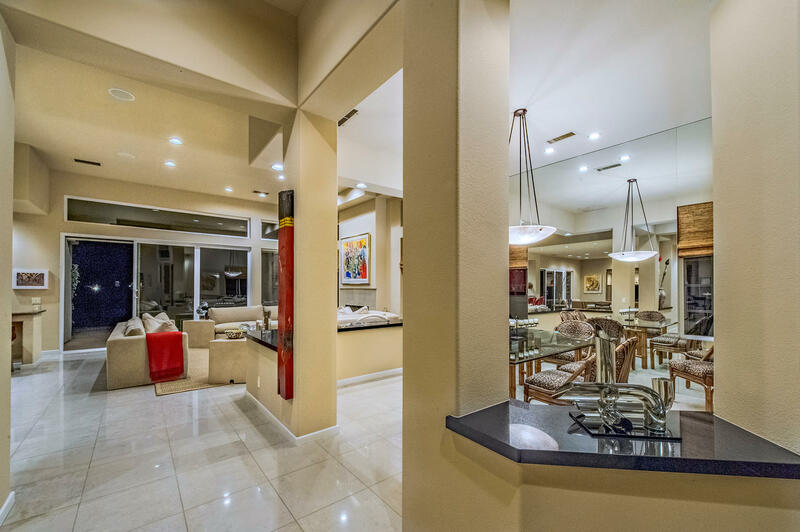 Entertain guests from the flawless gourmet kitchen w/state of the art appliances, or from the expansive great room with distinct fireplace & unique bar. 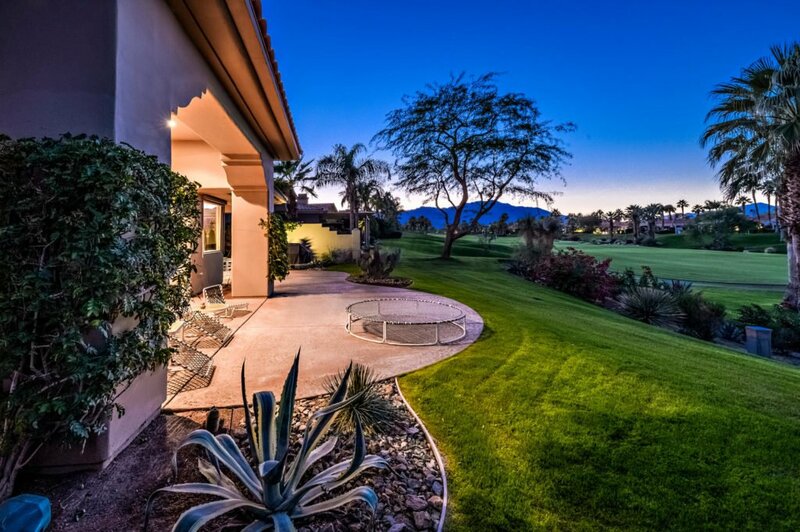 Indulge in 180 degree panoramic views featuring the fairway & the mountains. 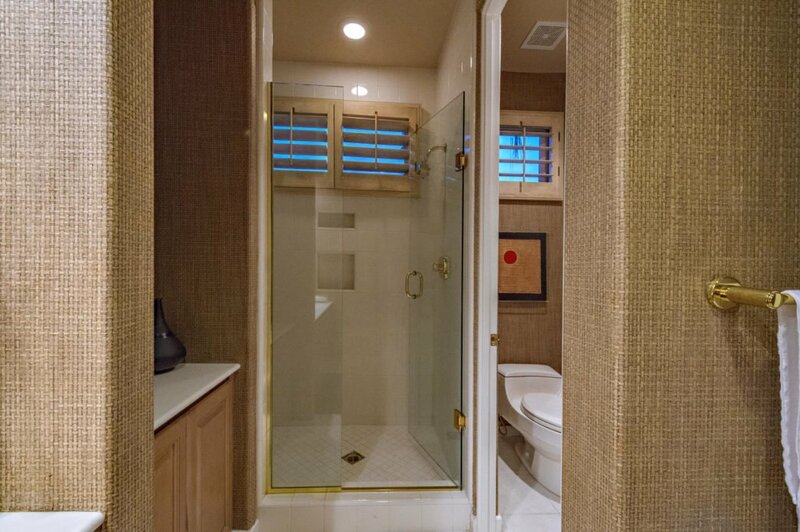 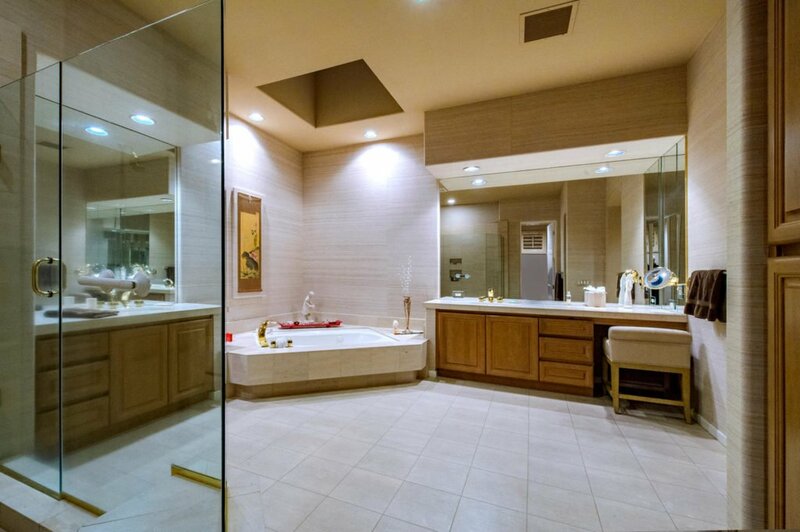 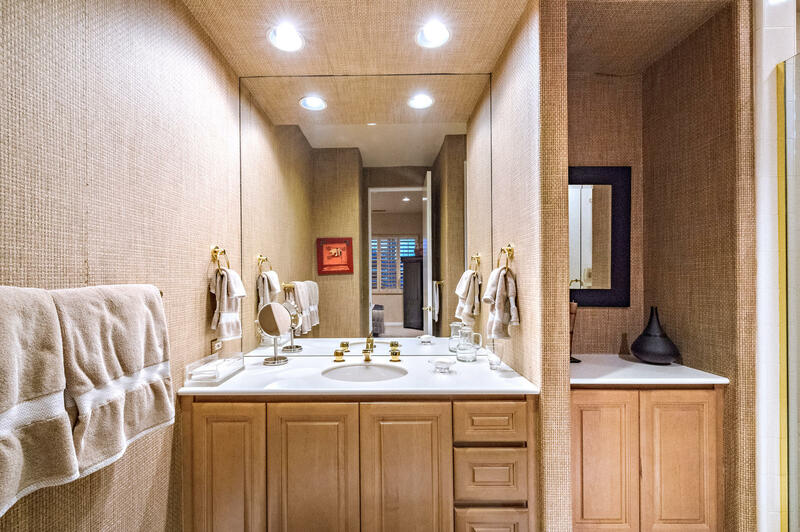 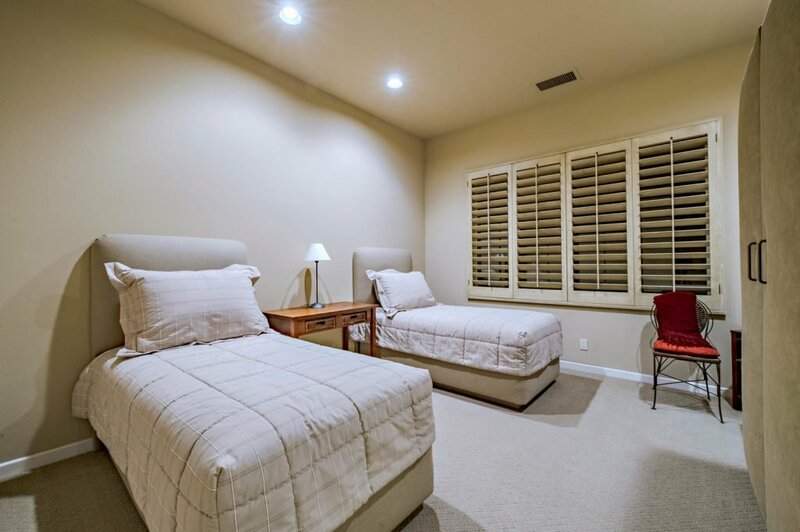 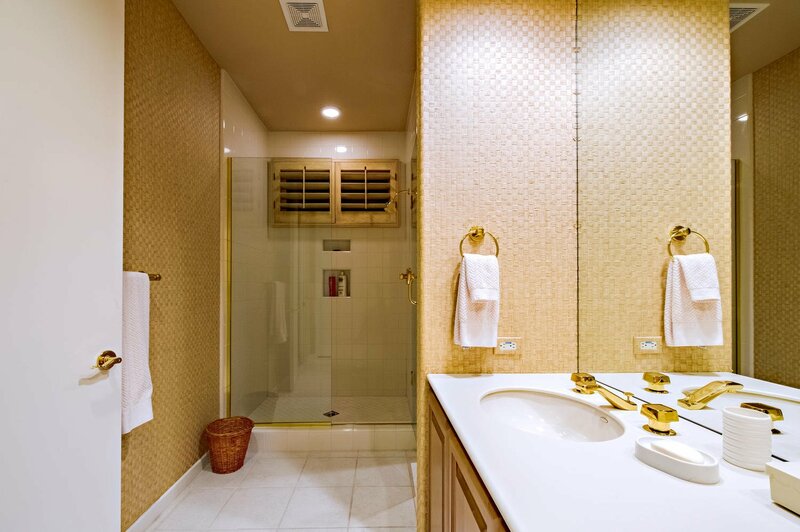 Enter a lavish master suite which includes a luxurious bath with garden shower and his/her large walk in closets.